Hi blog readers. 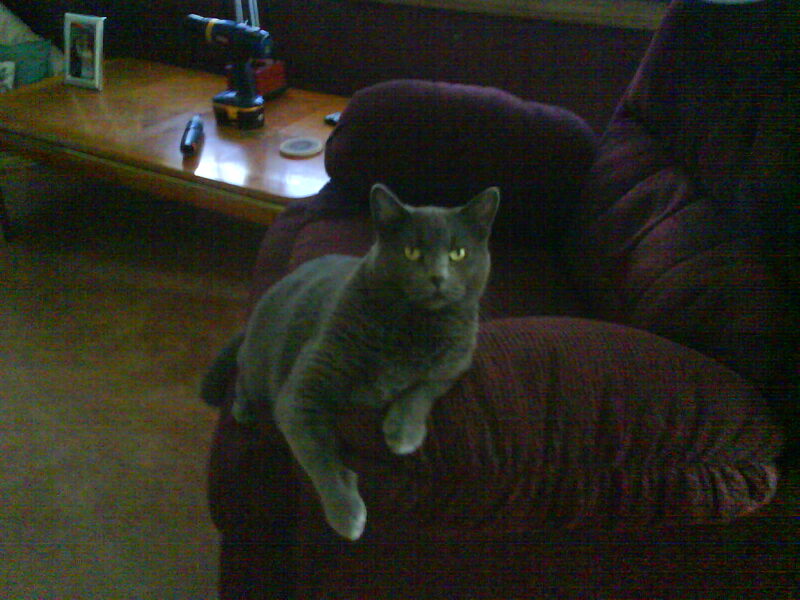 Sorry I have been sporadic with with my posts lately. So much going on with life, that its hard to keep up sometimes. 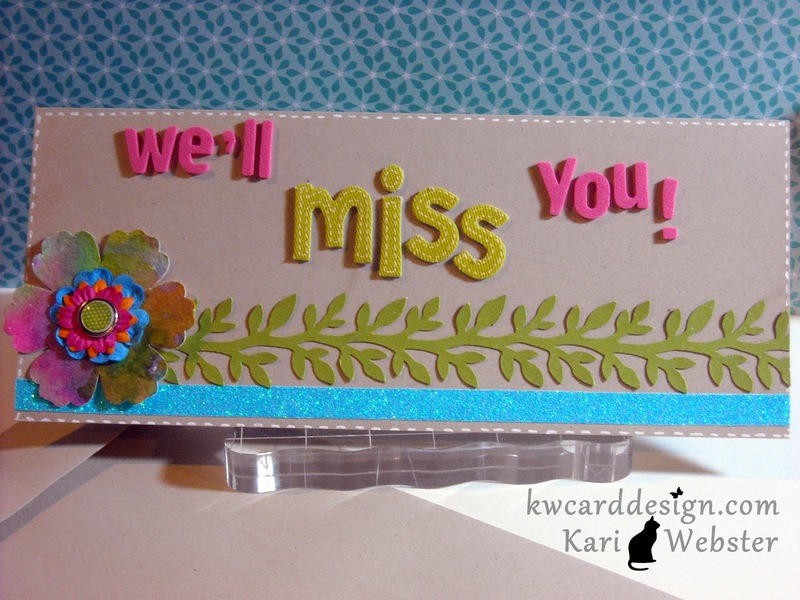 Today I wanted to pop in and share with you a card I made for a dear friend, and co-worker who is leaving and taking a new job. I will miss my friend so much not being able to see her everyday - but I know this opportunity will benefit her in so many ways - so for that, I am happy for her! I used the new Summer Seasonal Distress Inks, and added some Dylusions Pure Sunshine ink spray and blended it all together on my Ranger craft sheet - and liberally sprayed some water onto the ink - and "mopped" it up with some watercolor paper. I loved how this rainbow of colors turned out. I used my Blossom punch from SU! to punch out my flower. I used THIS punch, and some blue glitter tape from AC to add something extra to this long note card from HA. 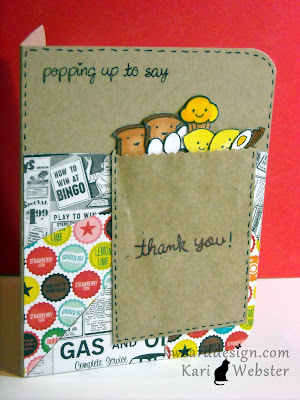 I love these cards, because they come with envelopes!! I added my sentiment using some Thickers, and finished it off with some faux stitching. I believe my friend will love this card. She was and still is so supportive with my card making. I'm so happy to call her a dear friend!! Back again for another submission for the Lawnscaping Challenge. What a fun challenge this go round. 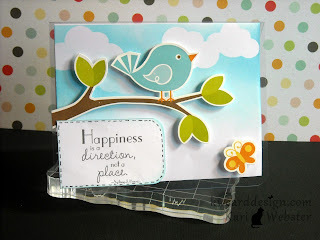 Make a card or project with neutral tones - and then add that splash of color!! I never know what I will come up with from one project to the next. This one is one of those times! I was thinking of what I had in my "stash" and I remembered that I had bought some Honey Pop paper. If you have never seen this stuff - it is so neat. Inky Antics has stamps that coordinate with this paper. So - I thought I would use it to make a hot air balloon for my splash of color! 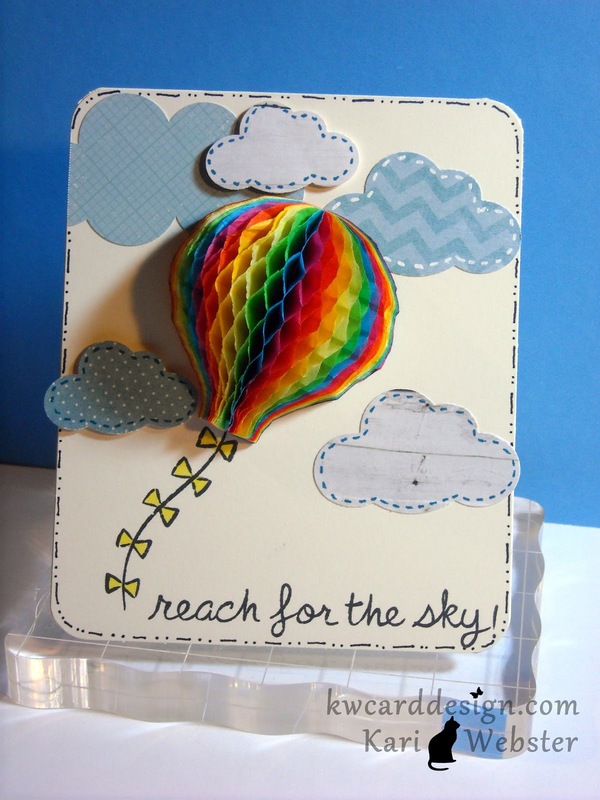 I used LF's "Sunny Skies" to stamp out my ribbon flags from the balloon , and my sentiment " Reach for the Sky"
Such a happy card, don't you think?! I punched out some clouds with my Fiskars cloud punches - and used pattern papers from My Mind's Eye - On the Bright Side. Well - it is getting late for me - and need to wind down for the night. See you all back here soon! There will be a video tutorial on how I did the chair very soon! Have a great day!! Helloooo! 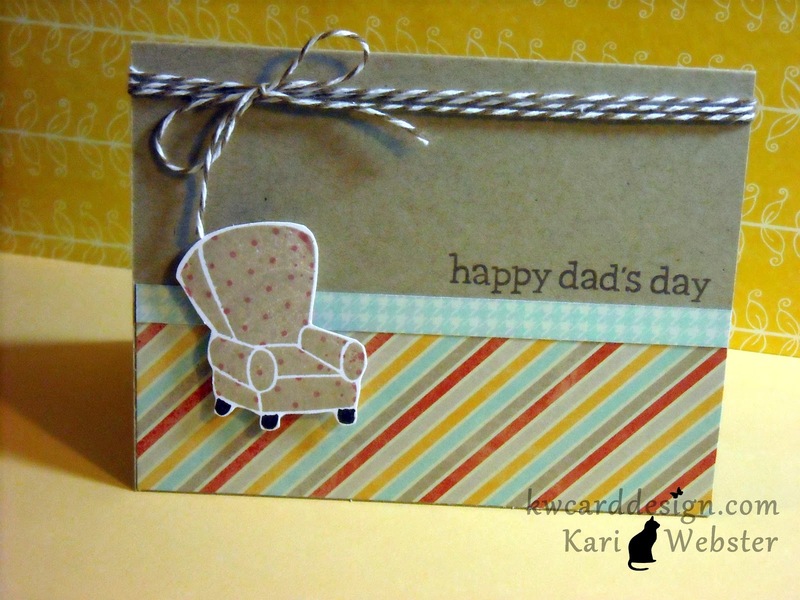 Kari back with you to share a card I have made for the CAS-ual Friday Challenge. I haven't submitted an entry to this challenge for a few weeks, and thought I would get back into the swing of things. I haven't had the CAS mojo, so I opted out for a little bit. This week challenges us to use either acetate or vellum on our projects. I have only made a few "clear" cards - and they CAN be challenging. So - I thought I would break out my acetate - and THIS is what I came up with. It is very warm afternoon here - and I was inspired by the birds that take a bird bath on a hot summer day. So - I have these cute card stock stickers from Echo Park's Hello Summer line. I first punched out some cloud images from masking paper, and applied them to my white card stock insert. 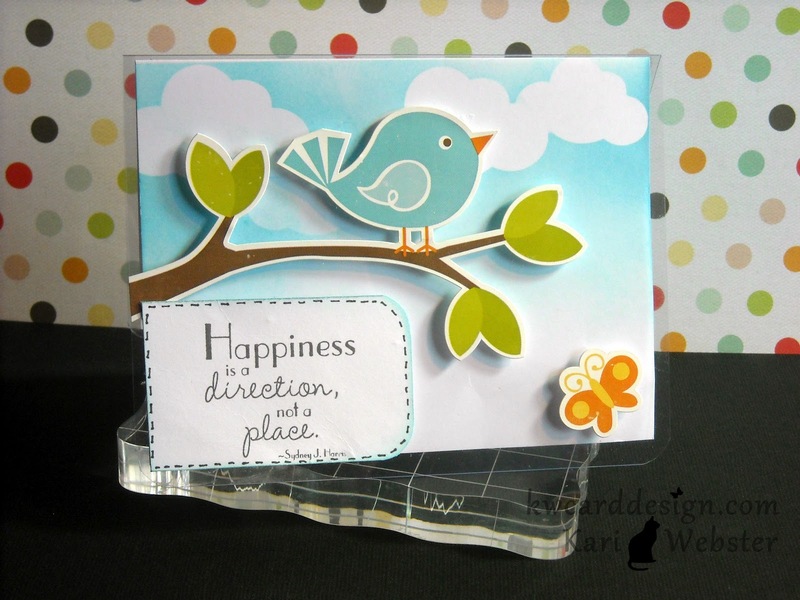 I then used some Tumbled Glass Distress Ink and applied it to my card stock to create my sky. I removed my masks - and you are left with a beautiful sky. 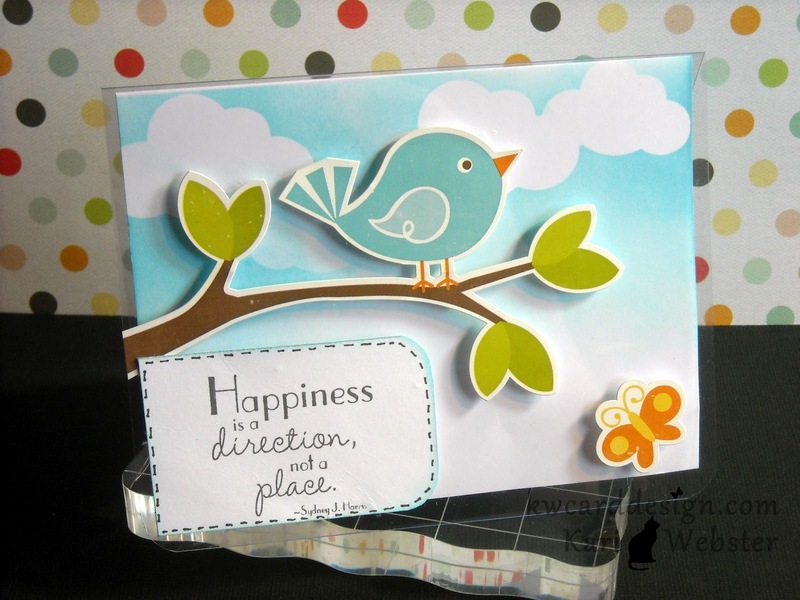 I took the adorable bird on a limb sticker and applied it to the outside of my acetate card and put some pop dots to create some dimension between my white card stock insert and my acetate card base. I then added this cute butterfly sticker to add a bit more of color. My sentiment is from Unity and Authentique called Direction of Happy. Here is another look at my card. I hope that you are having a nice fulfilled weekend!! Afternoon!! I wanted to share another card I made for the Lawnscaping Challenge. I had this idea in my head - and thought it worked well for the current challenge. 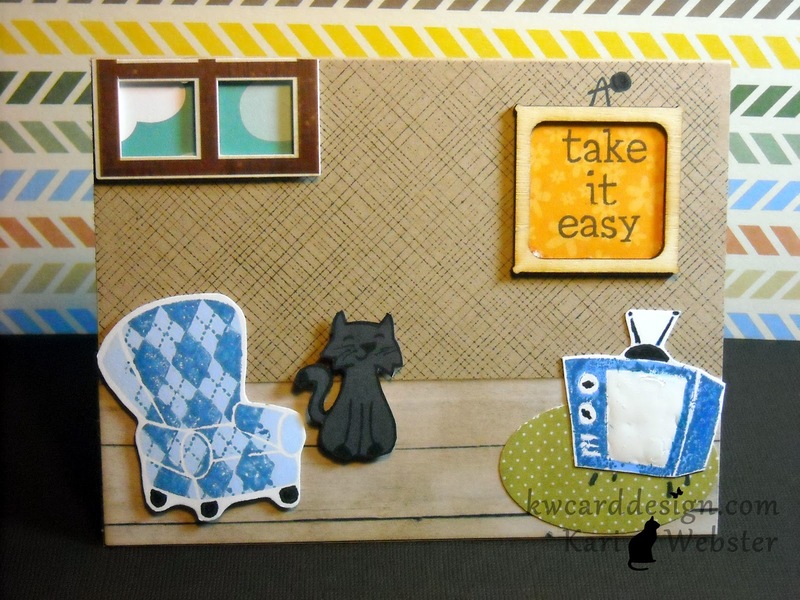 For this card, I used Lawn Fawn sets - "Love 'n Breakfast", "Sophie's Sentiments", "Critters on the Farm", and "Make Lemonade". I also made this card for a friend's daughter who's basketball team bagged groceries one Sat. afternoon for charity. Mom wanted a 'Thank You' card to give to the management team of the grocery store that allowed them to do this. My patterned papers come from the 6 x 6 pad by Echo Park - Happy Days. I used a little brown envelope to represent the "grocery bag" and this came from Hobby Lobby. I inked up all my images with Memento Tuxedo Black ink and used my Copic markers. Hope everyone has had a nice weekend - and a happy week ahead!! 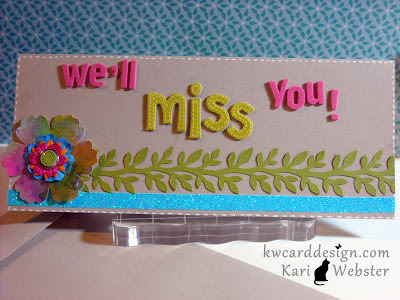 Well, I thought I would share with all of you just a card I made for a friend/co worker. It has been a while since I have shared a card that wasn't made for a challenge blog - and I need to get back into doing that. After all - I didn't start doing this hobby just for challenge blogs - I did it because I enjoy making cards for all occasions. So - this card features the stamps by Hero Arts - You're the Best. I wanted to make it simple, but elegant. I used my own ribbon for the tails - to make it seem a bit more realistic. I made this over a month ago - so I apologize, but I am not sure which papers I used for this card. 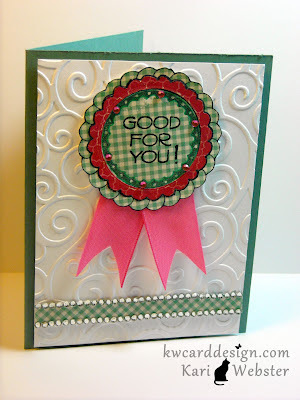 I did emboss the card base - and I added some gems to "glam" it up a bit. The recipient of this card got her Masters in Nursing. She is such an awesome girl. She has worked so hard for a very long time. Congrats, Amy!! Well, it is late for me, and I really need to get to bed, but I know myself, and if I didn't get this done - I would be restless. 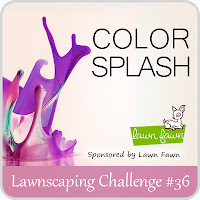 I will be short though :) This week over at Lawnscaping - we have been asked to use patterned paper for our projects this week. 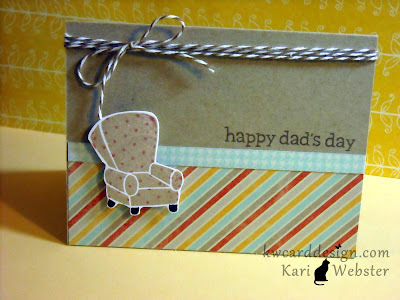 For my card I used " Dad's Day", " Critters in the Burbs", " Stay Tuned", and "Fanciful Frames". I did some reverse stamping to my "TV" and did the "kissing" technique for some interest on the sofa chair. My pattern papers come from Lawn Fawn's 6 x 6 Bright Side, and My Minds Eye The Bright Side ( that was by a fluke of course ). My little frame comes from Studio Calico - the wood veneer frames. I added some glossy accents to the TV screen. I tell ya - the reverse technique with solid images is much harder than with lined images - but I got it to work. OK! I am heading to bed!! Be back soon! !